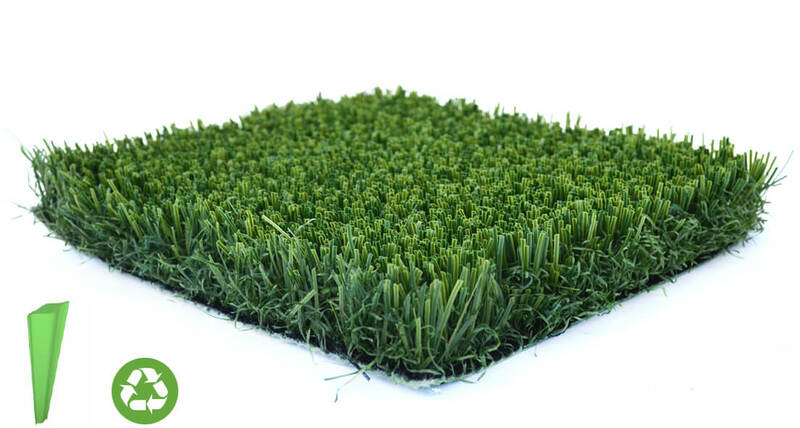 Shine Block: Shine Block blade profiles reduce the reflective quality of the fiber allowing our grass to appear more like a healthy, well-trimmed, natural lawn. Heat Block: With Heat Block color options, our turf is cooler than the competitors' artificial grass systems. * The color in the photography may appear differently than actual product. Please request product samples from your sales representative.